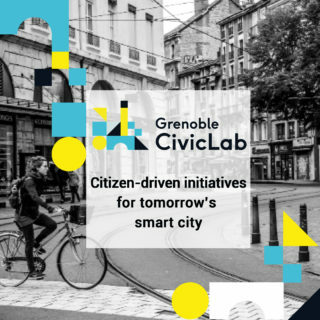 Grenoble CivicLab brings together citizens, entrepreneurs, students, NGOs to develop prototypes of digital tools which will help the city respond to social, environmental and economic challenges. The principal objective of this programme is to invent the digital services at the heart of tomorrow’s smart city. What if we could better implicate all of the different kinds of actors in a city in responding to environmental, economic and social changes? Grenoble CivicLab aims to respond to this changing urban context, by creating new digital tools (web, apps, electronics etc.) that can be used by everyone in a city and help people to change their behaviour and to find new ways to use the city. Today, digital technology offers the possibility to develop new city services, new ways of life, new ways to participate in the operation of the city, new ways to experience sport, culture and social lives… The opportunities are endless. Organised by « La Péniche », Grenoble CivicLab brings together IT professionals, citizens, entrepreneurs, NGOs, local authorities, artists and normal users to develop these digital solutions. The goal of the programme is to allow everyone to participate in the construction of their city through collaboration. 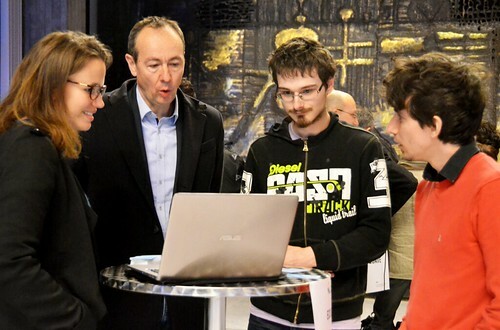 A series of different workshops were organised by the team behind Grenoble CivicLab with different themes – culture, social, business development, web development etc. This team made different resources, tools and expertise available to participants to assist in the co-creation of local solutions (for exemple, office space, data, IT expertise, fablab…). Grenoble Civic Lab is ready for all your proposals and digital solutions. Grenoble CivicLab is open to everyone: from the normal guy-next-door, to students, to companies to geeks; anyone who lives or works in the Grenoble City Area.